Just a heads up for the linux guys before I hit the hack. If you’re using madwifi drivers, make sure you update em. A remote exploit was released. the researcher played nice and got with the development team before releasing the details. 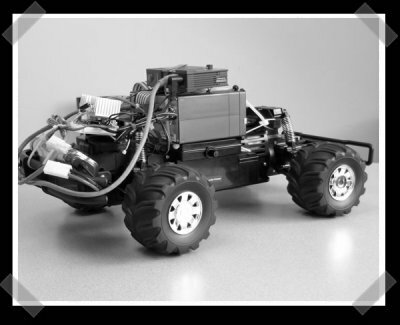 I’ve been pondering a wifi controlled RC car robot project. I’m thinking of an onboard motherboard and a big battery supply. After considering my own ideas, I like to poke around and check out others. It’s inspiring and I almost always find something I can use adapt or abuse. For the wifi RC car, several have been created already. The Wi-drive is really an exercise in embedded systems and software control, but looks interesting. Sadly, it appears to suffer from the ‘our college gave us this dev box’ syndrome. The WRT54G turned RC car is pretty sweet. The router is running a servo control daemon, providing a cheap mobile wireless dev platform. This star climbing enabled monster truck hack looks very promising as a build platform. It was designed to be autonomous, but it could easily be adapted. Not be forgotten, Ashish’s laser rangefinder based autonomous rc car. If you’d rather keep the car stock, you could interface the transmitter with a pc with a simple ppm signal generator. Then there’s the RC car telemetry project. Got any more worthy projects? Shout out. those are some good ones to look at, but i’ve been a fan of http://hackedgadgets.com/2006/08/18/home-made-video-car/ now if you could combine wifi and the video then that would be cool! I like how everyone just reads slashdot, and takes its word as if it were law. As the first guy said, the exploit is very old. Sure there may be some people who still haven’t updated, but the vast majority of Linux users have a version that is patched. Anyway… cool list of hacks. One of the reasons I mothballed my homebrew ‘Probe II SG’ ROV project was how obsolete my RC and video systems are. Pfft, I didn’t get as far as systems telemetry! I would like nothing better than to do a conversion whereby a small laptop handles everything and it utilizes a WiFi connection. At least the platform itself it built and proven, I just have to retrofit stuff onto/into it. Journey Robot is awesome, movies are great, this thing can manage some great stunts, I especially liked getting unstuck, btw what is on the wooden stick on top of that bot? digital compass? rush, pulsing lets you get full torque at any ‘rpm.’ although their pulses need to be a lot higher frequency, theres good reason to pulse the motor in all electric rc cars. thats why they all do. dioxide: right, except that at the low frequency they are using, they’re not doing a whole lot. the current surges at each pulse stresses the whole works and the pulsing ultimately yields no real torque benefit. as rush said, definitely needs improvement.